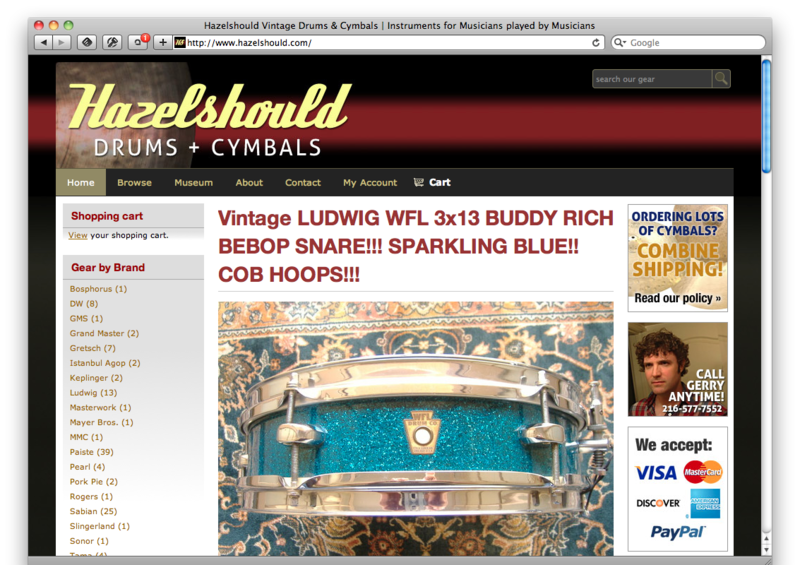 Hazelshould is a Los Angeles-based dealer of vintage drums and cymbals, and has the distinction of being the first local client ShooFlyDesign worked with after relocating to Los Angeles. While they did, and still do, have a vibrant presence on eBay, they wanted to have more control over everything, and be able to sell some items directly to their customers. This website, powered by Drupal and Ubercart, helps them do that.